Some say that guest blogging is dead in 2017. This isn’t necessarily the case. The strategy is still alive and kicking. It simply requires a different approach. 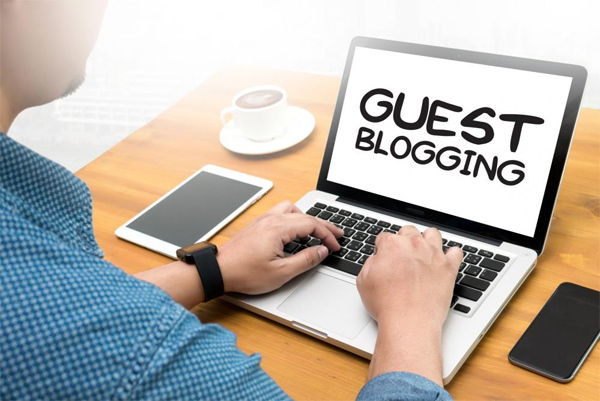 Guest blogging ranks among the best ways to promote your own blog and content, not to mention the fact it can help for optimization It can help you bring more traffic to your pages, establish brand awareness and help you build meaningful relationships within the respective industry. All of these advantages turn guest blogging into something that deserves a try. You can make use of several strategies if you are wondering how to become a guest blogger. The strategy benefits both the writer and the recipient, thus many bloggers will be willing to offer you a writing platform. Before you try to become a guest blogger, you will have to work meticulously on your own blog. Think of it as your writing portfolio. The availability of high quality, unique content will make others more willing to enter a partnership with you. Try to keep the content highly specialized and focused inside the same niche. Demonstrate your knowledge in the subject and work on your writing style. You will become better with practice and your style will get polished. If you can’t handle the task on your own, you can always hire professionals to assist you with content creation. Copywriting services are becoming more and more affordable and if you’re serious about building your online presence, you should definitely consider the opportunity. It provides a high return on investment and is a great possibility for long-term reputation establishment. Your blog is up and running, you have managed to pack it with useful content. The next step involves a search for the best guest blogging platforms. See what the competition is doing. Choose high quality blogs that discuss topics similar to the ones you are knowledgeable in. Make sure that the blog is popular enough. Some indications you can use include the number of comments beneath each posting, the number of social network followers and the way in which the blog’s content is shared and promoted by readers themselves. Look for guest blogging guidelines. Some websites and blogs have such pages that list all requirements. A number of bloggers will even put together style and topic manuals for guest bloggers. Try to understand those and to stick 100 percent to the requirements. Use your own blog to inform readers that you are interested in guest blogging. This is the easiest way to find a partner. Bloggers do examine the works of others. Enlist contact details, allowing others to get in touch with you. You need to communicate actively, as well. Everybody has a list of favorite blogs. E-mail the owners and suggest a partnership. Make sure that your offer sounds professional and knowledgeable. Include links to your best blog publications. Sometimes, opportunities appear on the horizon in the most unusual of ways. You need to keep all channels open. Contact the people you would like to work with. Some of them will probably be interested in such cooperation. Remember that trying once is ok but spamming these people with weekly partnership suggestions is certainly going to affect your reputation. Social networking can help you discover guest blogging opportunities. The best thing to do is to create social network pages dedicated to your blog and your content. Use the profiles to share links, to popularize your content and to attract new readers. Social networking can also help you get in touch with other bloggers and website owners. Invite these people to your network, comment on their work. Being friendly and establishing a network can be very helpful in the future. These strategies will help you get started in the realm of guest blogging. It may take some time but the quality of your work and your openness to communication will soon lead to an increase in the number of partnership offers. Be patient, take your time and work on your blog. Guest blogging can help you accomplish a lot in terms of marketing and increasing your reach. Don’t waste the opportunity to build your reputation. If you don’t know how to get started, you should definitely contact us. We’ll build a strategy for you and help you with the content creation itself.